“The first question which the priest and the Levite asked was: ‘If I stop to help this man, what will happen to me?’ But…the good Samaritan reversed the question: ‘If I do not stop to help this man, what will happen to him?” Martin Luther King Jr.
It’s midnight and a slightly broken heart and a brain on overdrive won’t let me sleep. I’m not gonna tell you what has me all twisted up inside because it is almost embarrassingly trivial. But that’s what I do. Sometimes I let myself get worked up over things that have zero eternal significance and very little earthly significance. But here’s the thing. 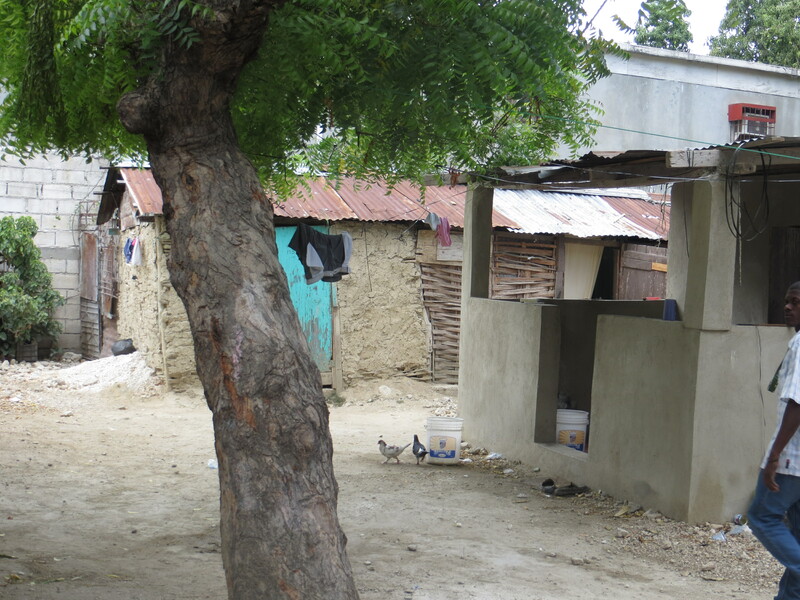 I started thinking about how last April I was in Haiti. And how last April I was absolutely heart-broken over things that have much earthly and eternal significance. And now because of that, I’m still slightly heartbroken with a brain on overdrive, but I’ve got a layer of you-are-so-shallow guilt thrown on top of it. Good golly, I’m destined not to sleep tonight. My life of All-American abundance allows me to focus on things that really don’t matter much in the big picture. I wish it wasn’t the case, and I wish I could say that after praying God took away all the crappy feelings inside me and I now have a mind focused solely on him. But I can’t. Maybe I’ll get there, but I’m not there yet. In the meantime, I am sharing this story that I wrote a year ago today. Tonight God used Billy to make me feel overwhelmingly guilty about my current state of mind remind me that I’m focused on the wrong thing. So much for finding something brain numbing to pass the hours that I shouldn’t be awake… Maybe I’m not alone and somebody out there needs a reminder too. I sit enjoying Billy’s company on a wooden bench shaded from the hot Caribbean sun. He is eloquent. He is intelligent. His smile genuine. His joyful spirit contagious. He speaks excellent English with a beautiful accent. Dressed handsomely in navy blue pants and button-down shirt, he may as well be an old friend from back home. 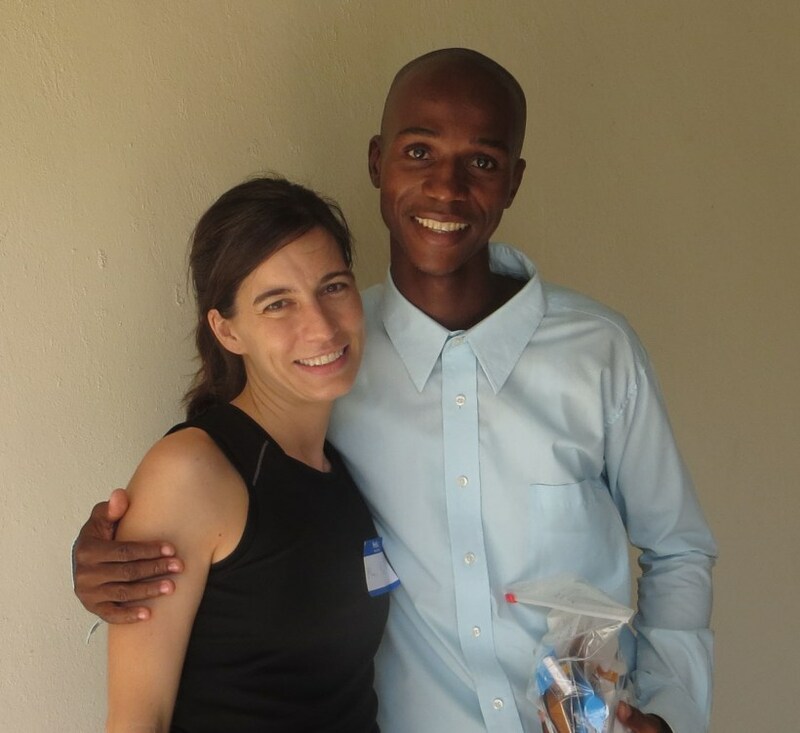 In just one day, my Haitian brother has gripped my heart. He did not choose poverty. He did not choose hunger. He did not choose life in Tent City. He asks about my life. What can I say? I live in a 5 bedroom home, of which only 3 bedrooms are slept in on a regular basis. I have cupboards full of food and regularly toss uneaten leftovers down my garbage disposal. Clean drinking water flows from multiple faucets and ice pops out of my freezer with the push of a button. My voice falters. I can’t verbalize the discrepancy between his life and mine. So I speak of things that don’t accentuate the contradiction that is my abundance and his scarcity. Then he asks the question I can’t sidestep. The one that now drifts through my mind a dozen times a day. It takes all I have to look into his eyes, but I owe him an honest answer. And now as I am back home, my more than enough breaks my heart into pieces. Every bit of abundance causes an ache inside. But I trust that God breaks hearts so he can mold them into something new. So he can impart his perfect love into my imperfect being. I know that as I sit here with my coffee and my laptop, my God – the one who is able to save little American girls and little Haitian boys – is working on the inside making me a new creation to do the work which he has prepared in advance for me to do. And my friends, a new creation ever growing in the desire to serve and obey my God is exactly what I want to be. 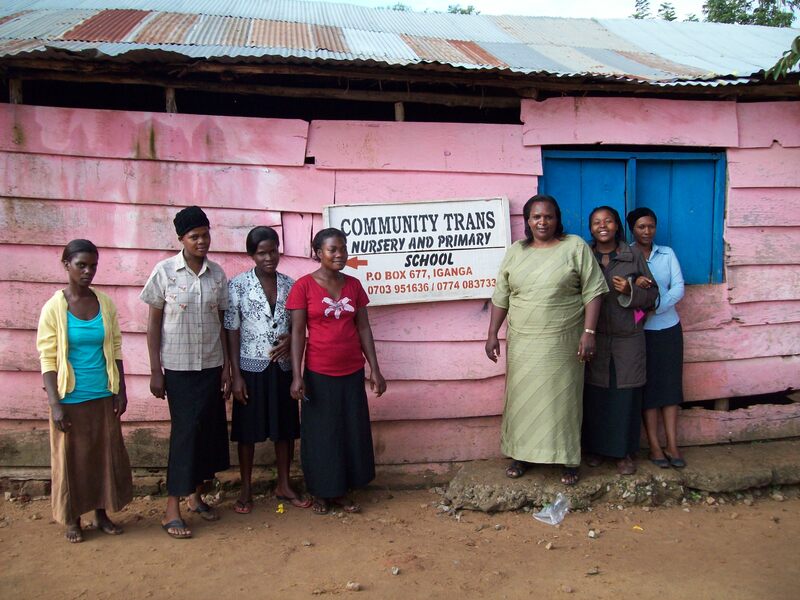 Florence Were (third from the right in the photo) is a pastor’s wife in Iganga, Uganda. 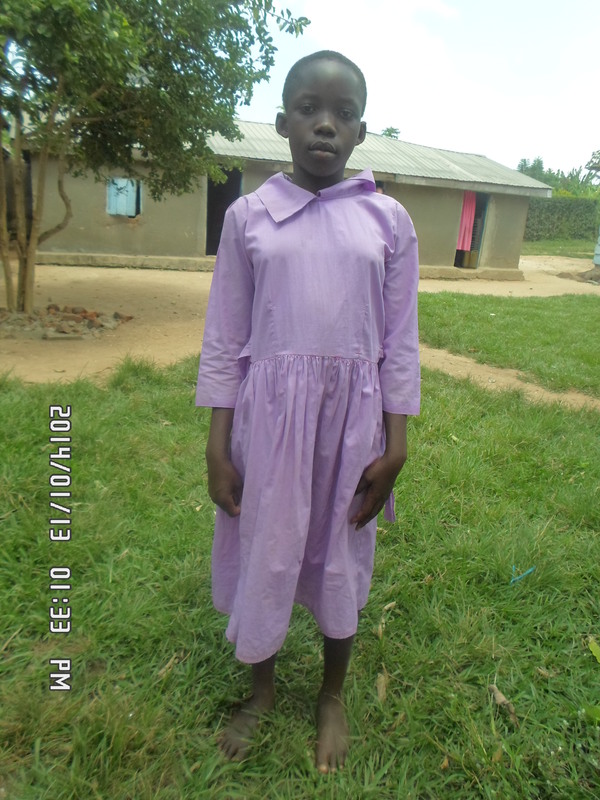 Her husband has been leading the Faith Power Assembly Church in Iganga since 1998. The church has a congregation of 150 (including children) and a desire to reach more people for Christ. Florence works with women, counsels youth and advises and oversees the Sunday School program. The Weres have three children: two biological and one whom they found and took in as their own. Basically, she’s a wife, a mother and a part of a church family. Just like me and many of you. According to Florence, Islam is the predominant religion where they live in Southern Uganda, but Christianity is beginning to take root. The church tries to reach out to those who don’t yet know Jesus through open air meetings, door-to-door preaching and a mercy ministry. “We show them that we love and care for them by helping their needy with what God provides for us,” she said. 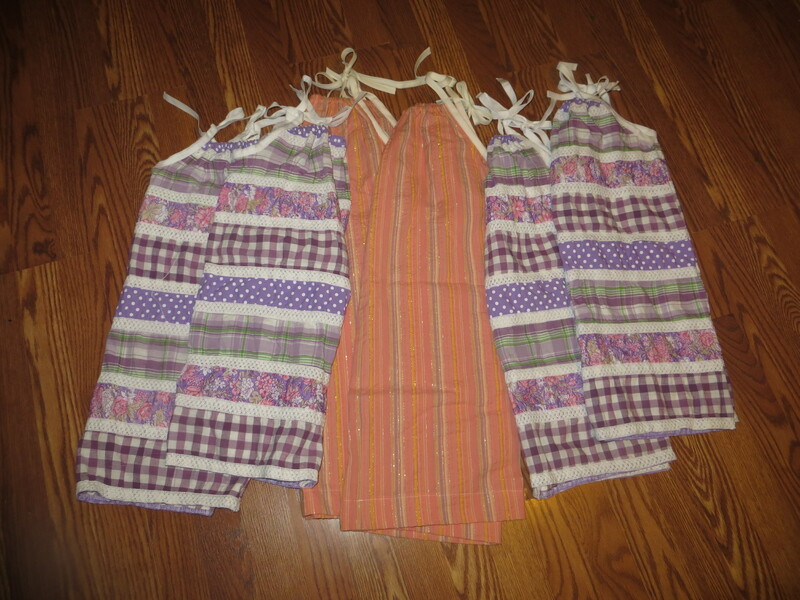 Our dresses and shorts will provide the Faith Power Assembly Church with more provisions to take care of tangible needs among believers and within the Muslim community. We have the opportunity to help the church to be the hands and feet of Christ. Because of the Operation Christmas Child gift she received from my son Carter last year, her Muslim family allows her to attend a Christian school. So who knows what will happen when more people receive Christ’s love in the way of dresses and shorts sent from Iowa. I wish I could sit over a cup of coffee and chat with Florence. Bits and pieces of information passed back and forth sporadically via email is great, but I have a feeling I would very much enjoy her company. And I think she could teach me a little something about the important things in life. As always, thanks so much to all of you who support 500 Dresses. This was Alix’s home. This little structure of sticks and mud with a tin roof. This is a photo I recently received showing Alix’s completed new home. Alix is a young man who was sponsored through Mission to Haiti, and Corey had the opportunity to work on his house last year. My hubby spoils me here in the US with his amazing design and construction skills, and I love that I have had the opportunity to live in more than one home that he has constructed. 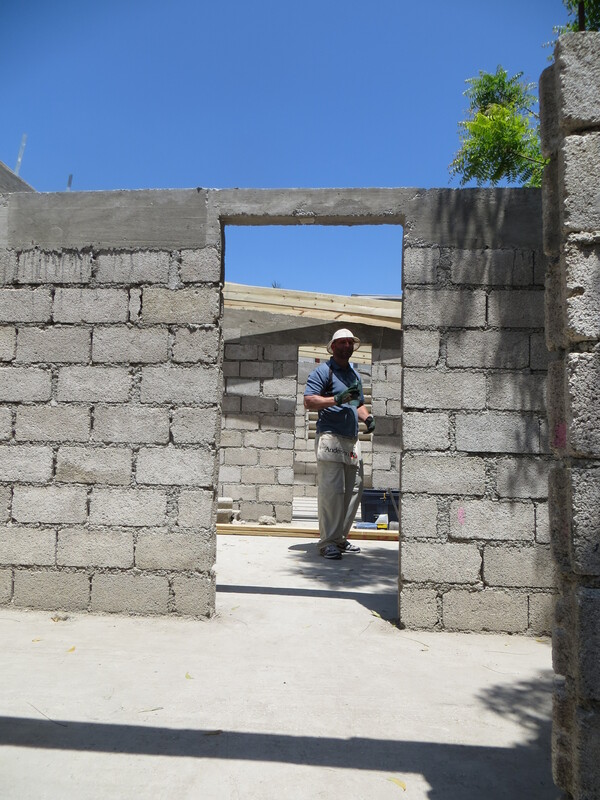 But I love even more that he saw my heart for Haiti and chose to give up a week of his time to follow me to the tiny country and use his talents to help bless a Haitian family with a roof for their new home (while I used my mediocre seamstress skills to teach some sewing classes). My husband is awesome. And seeing this family beside their new home is awesome. 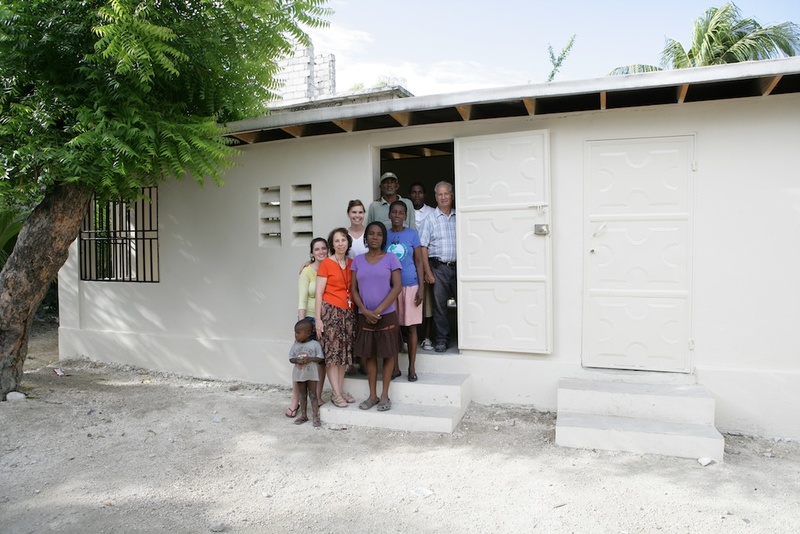 And the good that Mission to Haiti does for so many is awesome. 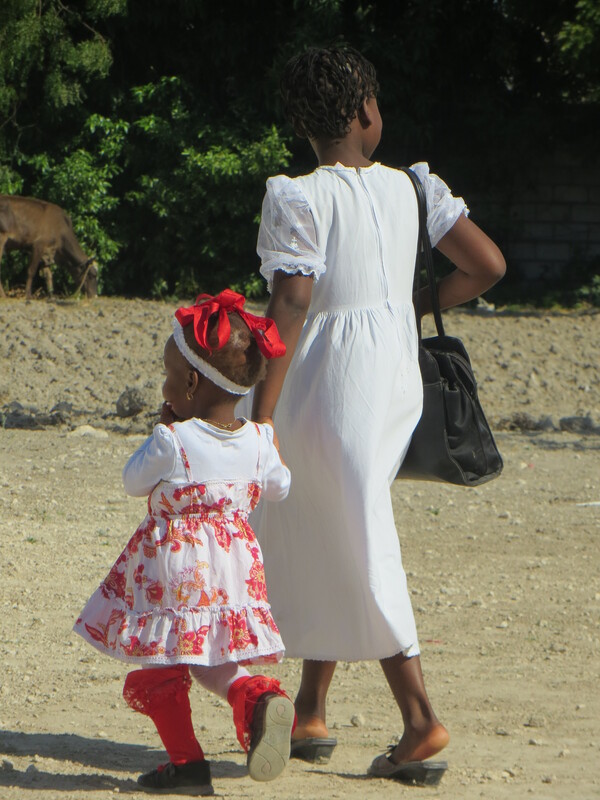 God changes lives through Mission to Haiti: often through their child sponsorship program. Regular meals, regular medical check-ups and a Christian education give these kids hope, not only for their lives here on earth, but also for their eternal future. And for some kids, like Alix, it can mean four stable walls and roof over their heads. If you are interested in sponsoring a child, visit Mission to Haiti online and take a look at all of the children in need. 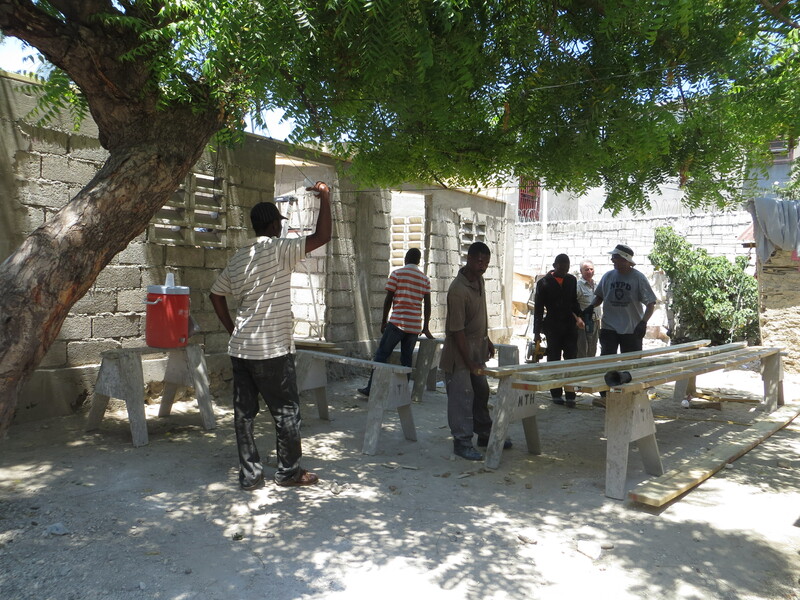 The photos below were taken of the house in progress while we were in Haiti. 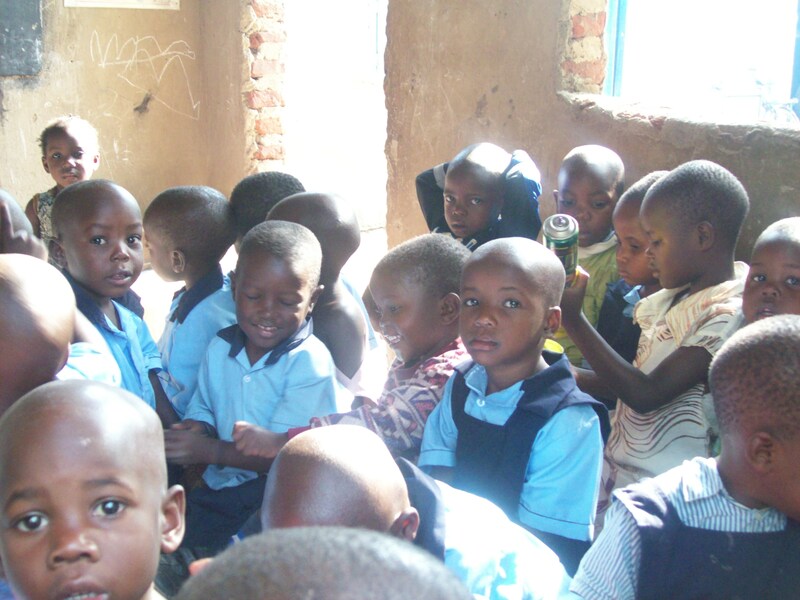 Here are some of the cute little faces of Iganga, Uganda. Children whom you can bless by donating to 500 Dresses. I’m hopeful we can fit 40 dresses and 40 pairs of shorts into one piece of luggage, in addition to some sewing supplies. Maybe that’s wishful thinking, but we have a lot of experience rolling clothes up super-tight to ship to Haiti, so I think it’s doable. In order to make it work, I have a couple suggestions for those of you thinking of donating. Anything we can’t fit into the suitcase will be saved for the next shipment to Haiti. I’ll leave you with a quote from the sweet Ugandan woman I am getting to know via the Internet. 1. Uganda is slightly smaller than the state of Oregon. 2. The capital city is Kampala. 3. English is the official language, but many languages are spoken in the country. 4. 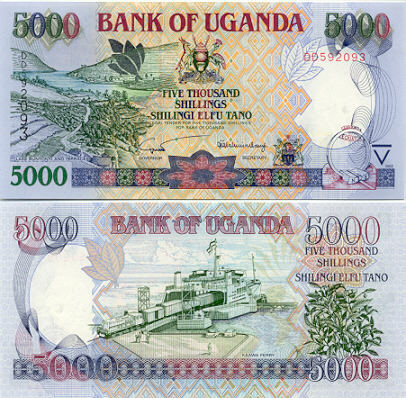 Ugandan currency is the shilling. 5. The average life expectancy in Uganda is age 54. 6. Eighty percent of the work force labors in agriculture. 7. Coffee accounts for the bulk of export revenue. 8. The literacy rate is 70 percent. 9. Fifty-two percent of the population live on less than $1.25 per day. 10. Geographically, Uganda is where the East African savannah meets the West African jungle. 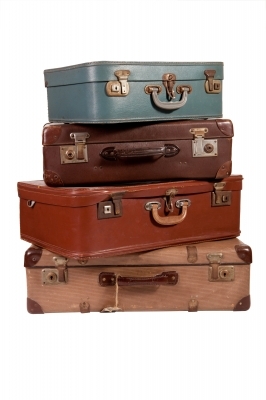 We are in need of a piece of luggage to ship to Uganda. It doesn’t have to be new or pristine. It just has to be durable and of a decent size. We’ll use it to ship supplies, and then we’ll let Florence keep it. If you think you have something that might work, please let me know. And if you have some little dresses or shorts or sewing supplies you’d like to help us fill it with, I’d be happy to take those off your hands too. 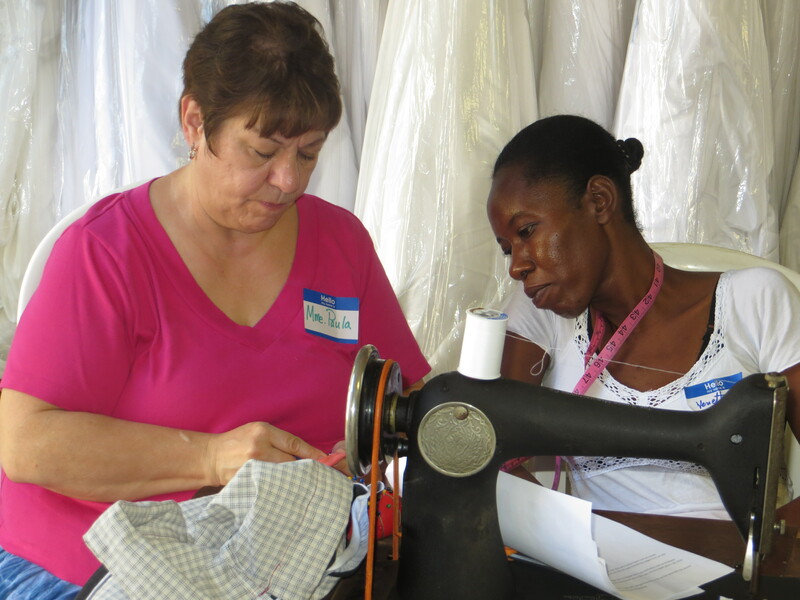 Florence has requested a few specific items for their vocational sewing classes and they are listed on the header of our page. Thanks for your help with this ministry!